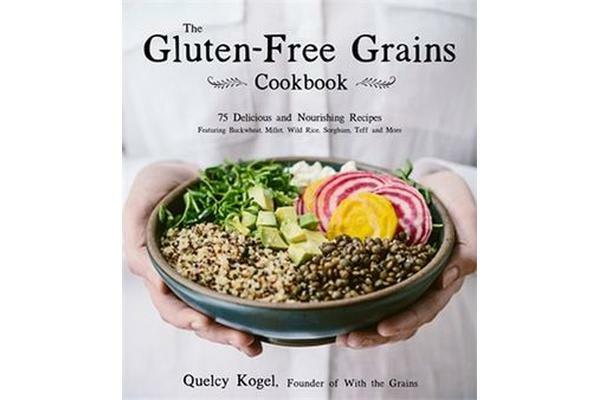 Explore the exciting world of gluten-free grains and flours with Quelcy Kogel, creator of the blog With the Grains. 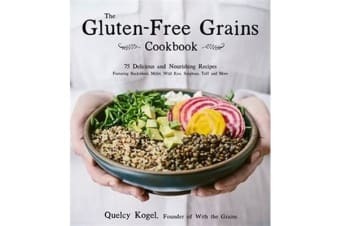 This book is a valuable resource for those dealing with a gluten allergy or following a gluten-free diet, as well those looking to add variety to their meals. Quelcy covers a wide range of grains: buckwheat, millet, wild rice, quinoa, sorghum, teff and more. More home cooks are seeking creative ways to use these delicious and nutrient-rich grains in baked goods, grain bowls and other easy dishes. Ancient grains are rich in proteins and minerals and make a delicious addition to any meal. For heartier, more flavorful versions of familiar breakfasts, try the Roasted Beet Doughnut and Cranberry Orange Muffins. The Vegan Amaranth Corn Chowder, with extra antioxidants and a creamy texture thanks to the amaranth, demonstrates how much these grains can add to savory favorites. The rice flour-based Gluten-Free Zucchini Cake with Apple Butter Buttercream is irresistible, and much more nourishing than treats made with all-purpose flour. These recipes are highly adaptable, with tips on making substitutions and combining multiple grains in one dish. With so many easy grain options, gluten-free cooking and baking are full of possibilities.